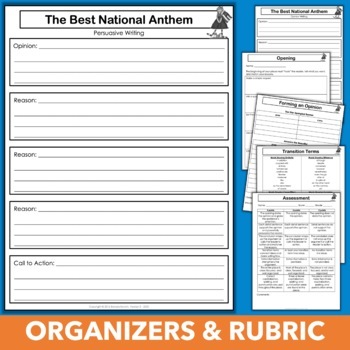 Patriotic Writing Prompt - Which Song Makes the Best National Anthem? 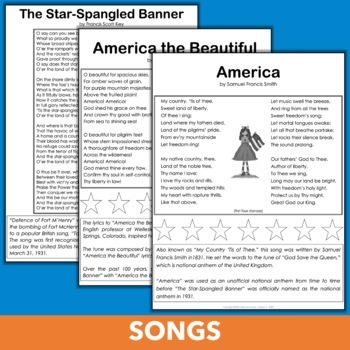 Which patriotic song would make the best national anthem? This persuasive writing activity lets kids decide. 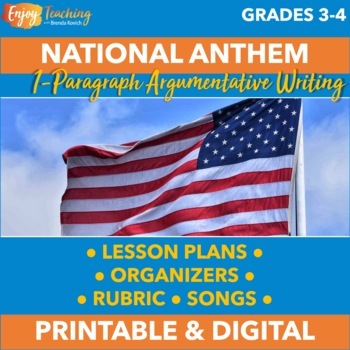 It’s the perfect opinion writing prompt for Memorial Day, the Fourth of July, Veteran’s Day, Constitution Day, or any day! This resource is now available as a printable PDF or paperless Google Slides. In addition, a companion website presents the lyrics, background information, and link to an audio-visual file for each song. Materials can be used for opinion (first person) or persuasive (second person) writing. 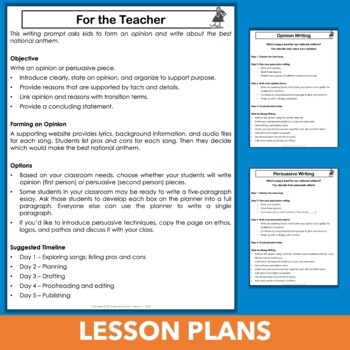 While many students may use the organizers to develop one-paragraph pieces, more able students may easily scaffold to five-paragraph essays. Clip art was created by Classroom Collage.